Link To Us " "
If you have enjoyed Basset Hound Savvy and would like to link to our site please feel free to do so. Basset Hound Training Savvy – Learn how to make your Basset Hound happy healthy and obedient! …on your website: Simply copy and paste the following HTML code anywhere on your website. I’m Basset Hound Training Savvy – Are you? 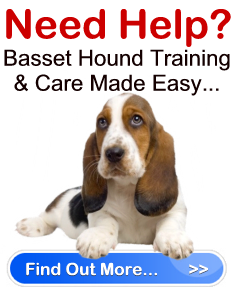 Basset Hound Training Made Easy – Learn how to train and care for you Basset Hound with the experts. Obedience training, Basset Hound problems solved, grooming, care, health, check lists and much more.